The next trip to Le Pretre, Haiti, is planned for Jan 12-20, 2018. Four parishioners from St Christopher's will be joining 13 others, including Jim Grant from Kansas City and Fr. Eric Long from Roanoke to provide medical and dental care in the village. Larry Copenhaver will lead the dental team, with Sandy Fairchild and Natalie Williams working with him. There will be a team providing worm medication, vitamins, and toothbrushes to the children and reading glasses to adults. A third team, headed by an internal medicine doctor will be providing primary care services to the adults. Now that the school building is a reality and teacher salaries are covered for the immediate future, the team will be looking at other ways to help the school, and they hope to develop a plan for providing ongoing medical services and health care education in Le Pretre. Please pray for the village and for the team as they travel. Donations are always gratefully accepted. There are 2 funds - one to provide supplies such as medications and school supplies, and the other to assist those who need financial assistance to be able to go (the cost of each trip is about $2000/person). Checks should be made out to St. Christopher's, with the memo line stating either Incarnation Project (general fund) or Haiti Mission Scholarship Fund. For further information, contact Nancy Kulb, nkulb@cox.net or 850-432-4717. The Incarnation Project started 5 years ago, and joins with the Episcopal church in Le Pretre, Haiti (the Church of the Incarnation) and an Episcopal church in Kansas City. MO. (St Mary Magdalene) and one in Roanoke, VA (St. John's). The construction of the School of the Incarnation in Le Pretre, Haiti was completed in the summer of 2016, making it ready for the new school year in the Fall of 2016. 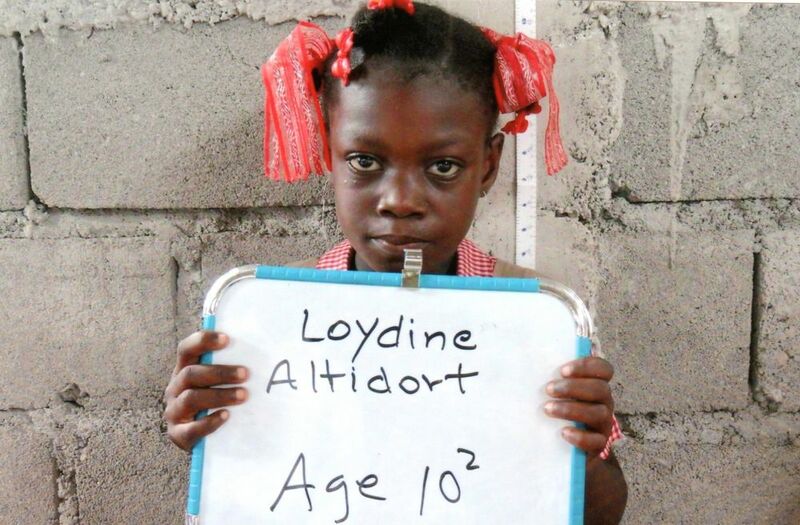 The local community participated with BuildOn, an organization that has built some 70 schools in Haiti. The school, which was designed by an architect with particular expertise in seismic-resistant construction, has three large rooms that can be subdivided into six classrooms. A small office for the school administrator is included. Representatives from three churches, including St. Christopher's, went for the dedication of the school building, Aug 6-12. Dental and light medical services were also provided. Le Pretre is in the Southwest corner of Haiti, where Hurricane Matthew hit. No one from our team has been to Le Pretre to assess damage, but all of that area was severely impacted. The school was constructed to withstand 150 mph winds, but wind gusts there were up to 175 mph. We have word that the school is standing, but lost some tin off the roof. The church, like several in the area, was destroyed. We assume that the loss of housing will be similar to that of other villages in the area – about 50% of homes totally destroyed and 25% severely damaged. Jim Grant, our Incarnation Project Coordinator, has returned from the Torbek/Les Cayes area where he worked on removing trees and restoring electricity and the well at the birth house (Maison de Naissance). He will be returning Nov., 4 to continue relief efforts. There may be a need for multiple trips over the next few months to try to restore houses, churches, and schools. St. Christophers is collecting funds for relief efforts. Please make donations to St. Christopher's, designated for Haiti Relief. With the construction of the school, the long term priorities will shift from building the school to supporting it in other ways. Parishioners can become partners with the school children by sponsoring a child for a year. The cost is $100, which can be paid in one sum, or in installments over the coming year. Each sponsor will receive a picture of his child. The money will be used for the school as a whole, for teacher salaries, equipment and supplies, etc. We ask that sponsors keep the picture of their child displayed in their home, so that they will be reminded to pray for their child and all the children in Le Pretre. For more information, contact Nancy Kulb, 432-4717. Provide immediate support for school supplies and teacher salaries. Provide health education, screening and treatment. Expand the existing school to accommodate 5 teachers and 80 students. Provide long term support for the school. Pray for the Church and school. Pray for the success of the Incarnation Project. Go on a mission trip to Le Pretre.